It turned out Branden ALMOST got his birthday right, but not quite. 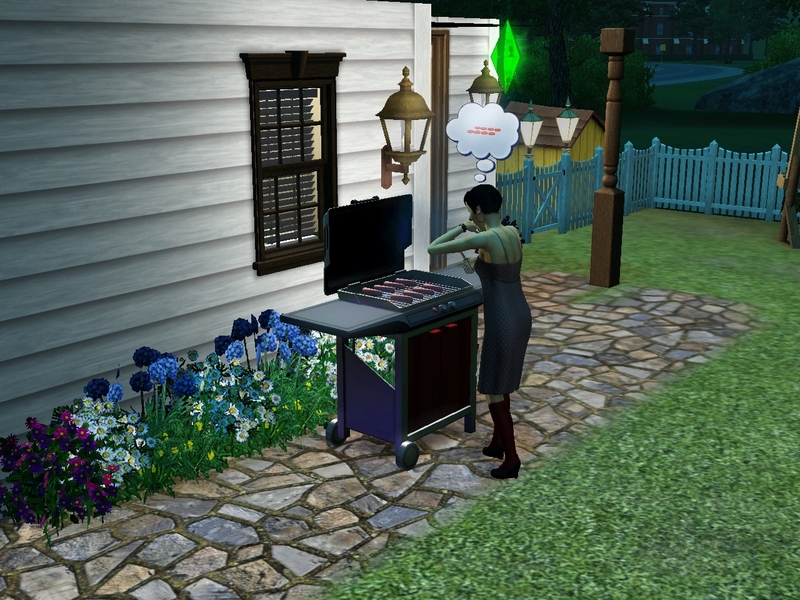 “Let me cook you dinner,” Hetal said anxiously. I softened. “That’s a relief to know,” I said, and I meant it. Of course I believed her. When had my beloved Hetal ever lied to me? That I found out about? “I was wishing for another baby,” Hetal said, “and it just happened. I never thought I wanted to be a parent, but you know? It turned out to be the best thing in my life. What I want more than anything else in the world is to be a good parent. “I didn’t know you felt so strongly about it,” I said, impressed. “Well, I do now,” she said. And so all the pregnancy stuff started over. Again. I did my best to take care of Hetal through the sickness and backaches. 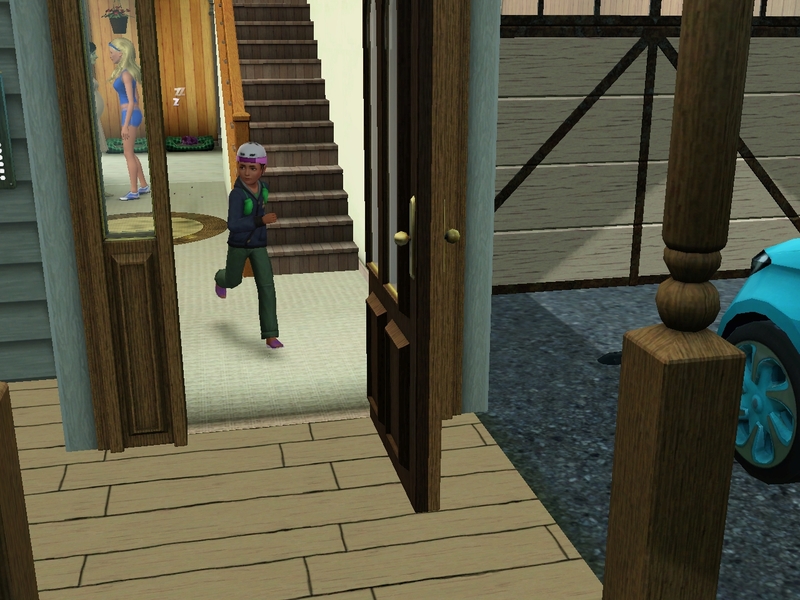 While random people came running in through our garage, around the house, and out the front door. Who WERE these people, anyway? It’s like our house has become one big game of tag. Well, not a lot to do about it, and I had to get to work. To Hetal’s credit, she worked very hard to make my life easier. She cleaned. 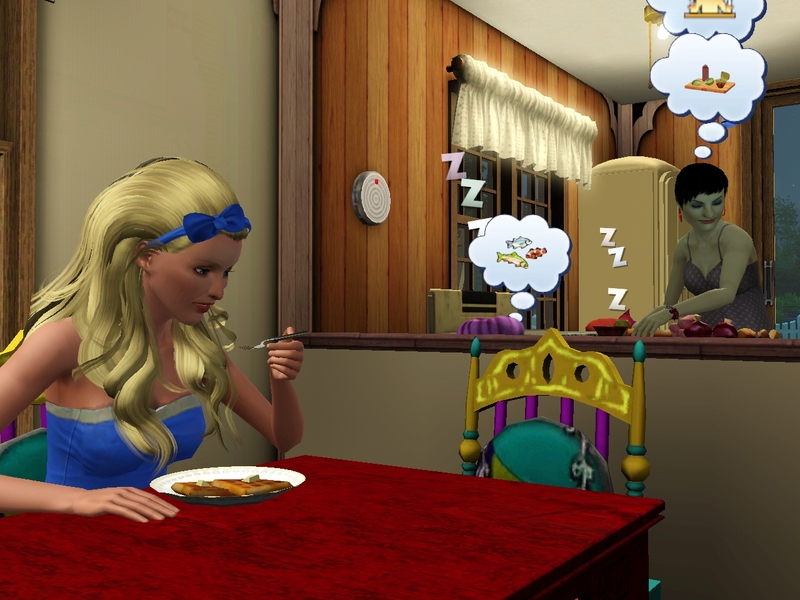 Though, since becoming a teen, Branden wasn’t terribly interested in what she cooked. He said he found it inhuman to eat the flesh of animals. So he made his own waffles and salads. Christof was pretty excited about Branden’s cooking. Hetal wasn’t too pleased. It’s hard to deal with picky eaters. Sometimes Hetal worked so hard she didn’t take the time to take care of herself. 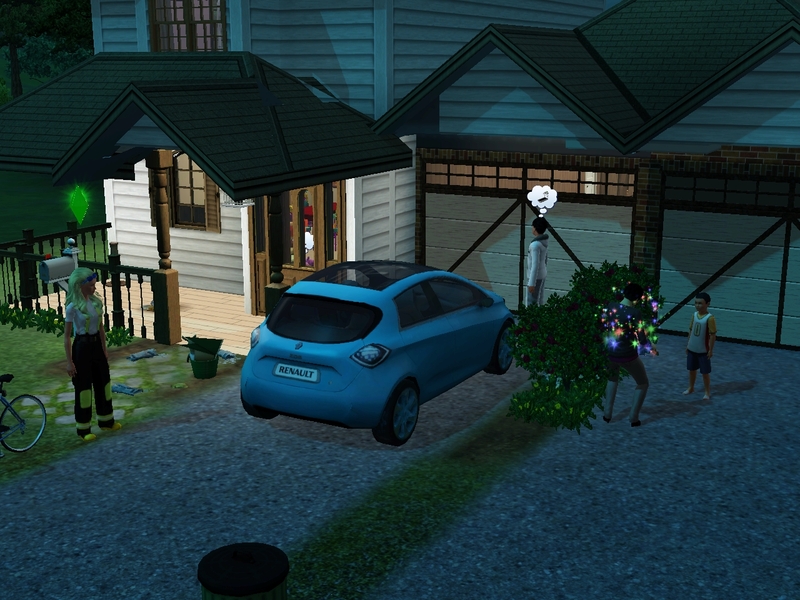 One day when I came home from work, there was a car in the driveway! Hetal said it was high time we stopped riding bicycles to work and started behaving like mature parents. I thought she was crazy, and we had a long talk about how expensive another baby would be. 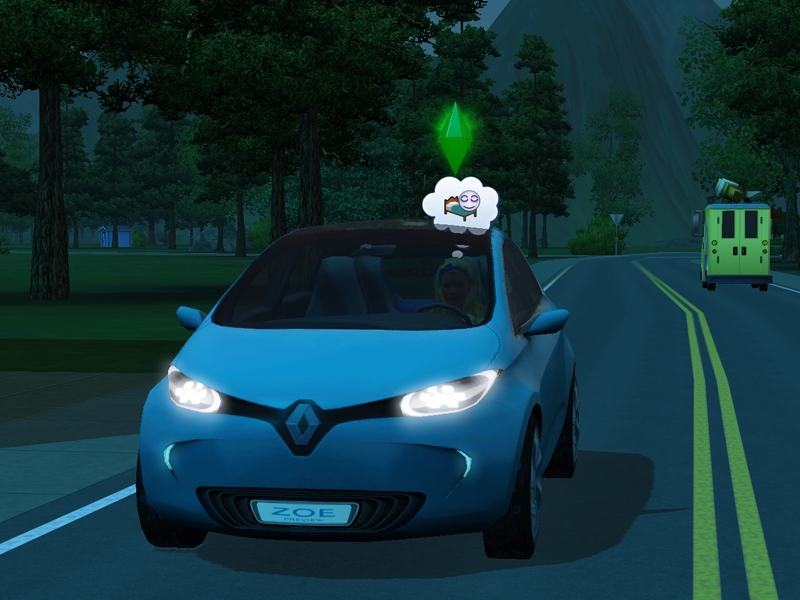 But I had to admit in private that the Renault was pretty sweet. Jin had been floating around the house, humming to herself. She was terribly distracted, but she seemed so happy that I didn’t have the heart to try to bring her down to reality. I caught her murmuring to herself, “He’s the apple of my eye,” a lot. And then she’d conjure and apple. She must have had a lot of apples. One evening, she got a phone call and went dashing out to the festival grounds. 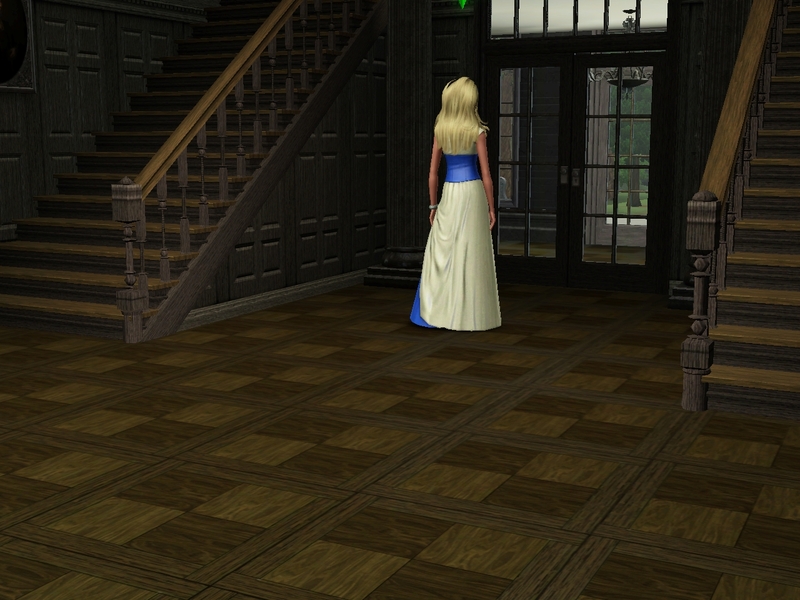 I think she was going to meet Chauncey Grimm. I heard through the grapevine that Chauncey’s ex-fiancee didn’t take long to get over him. I can’t keep up with Jin’s love life. The mailbox is always stuffed with letters from her admirers. But I have to admit that things seemed different with Chauncey. She and her beau must’ve had a wonderful time, because she didn’t come home. It just seemed like there was magic in the air that night. 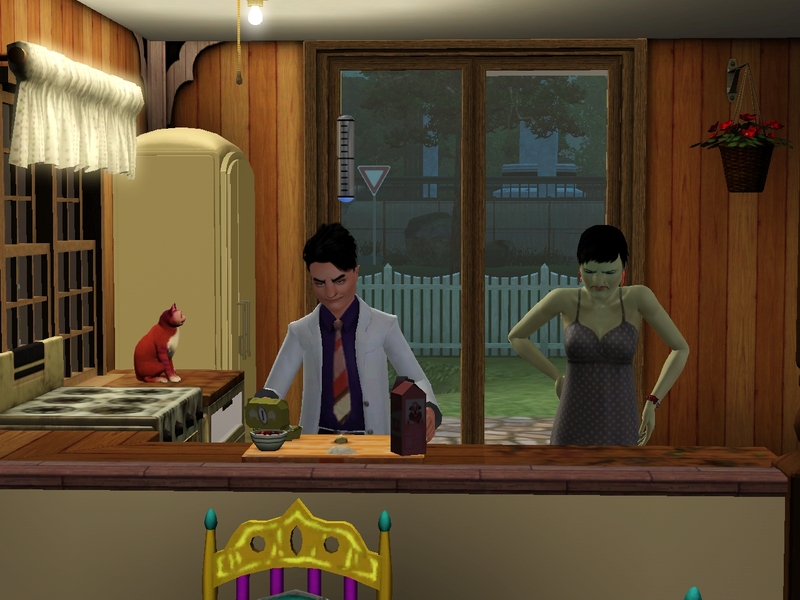 I think she wanted to ask him something very important, but he had to dash off to work at dawn before she worked up the nerve. Plus, she’d been holding back some… personal needs… until he left. 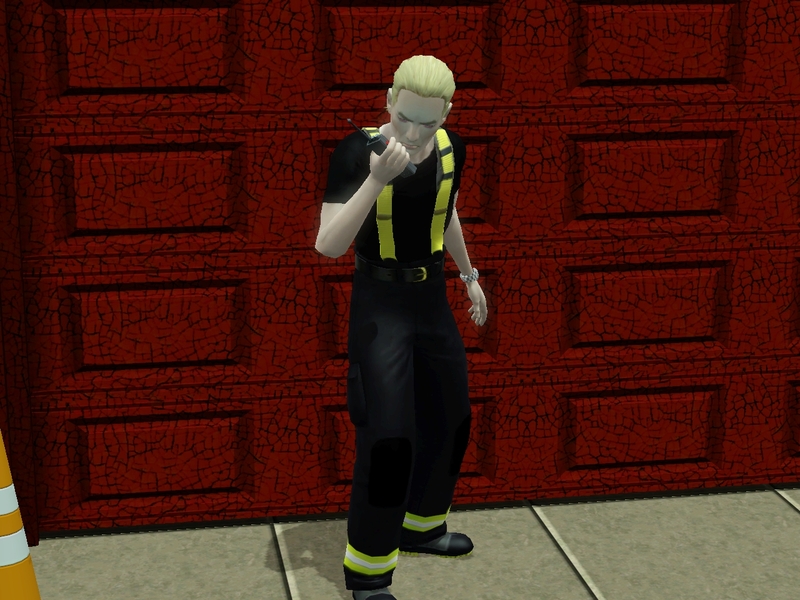 I spent some time catching up with William at the fire house. Then the alarm went off. Wow, does he react fast! 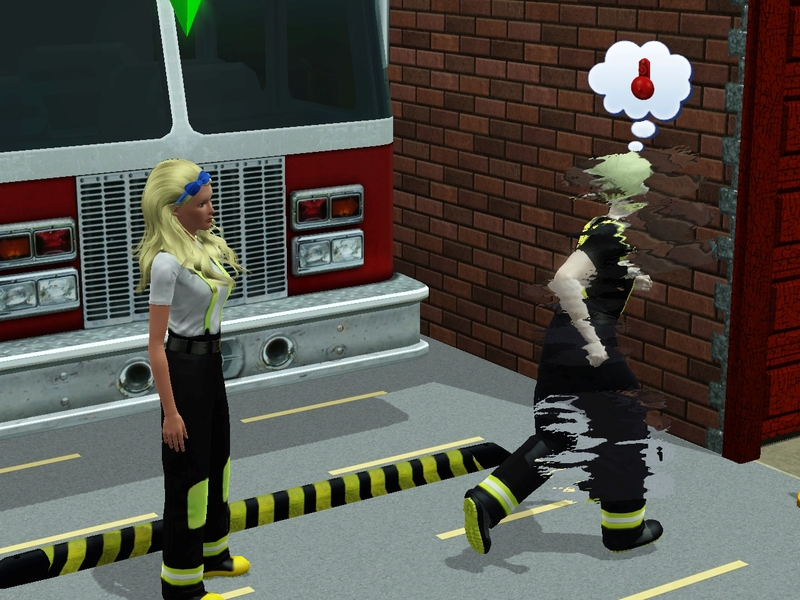 He called the firefighters to get to the emergency, which was funny because I was right there. 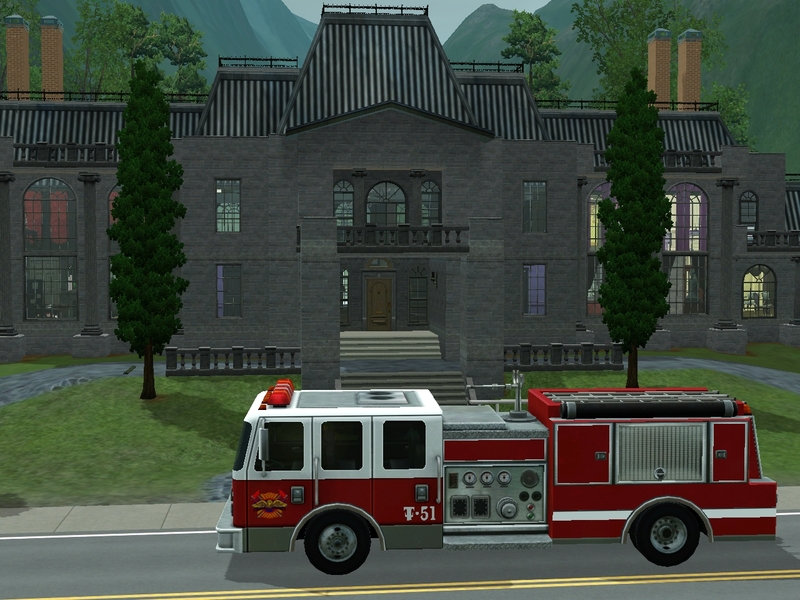 This time, it was Ayden van Gould’s mansion. If I were a less honorable hero, I’d just have turned around to go home. Who needs that jerk face anyway? 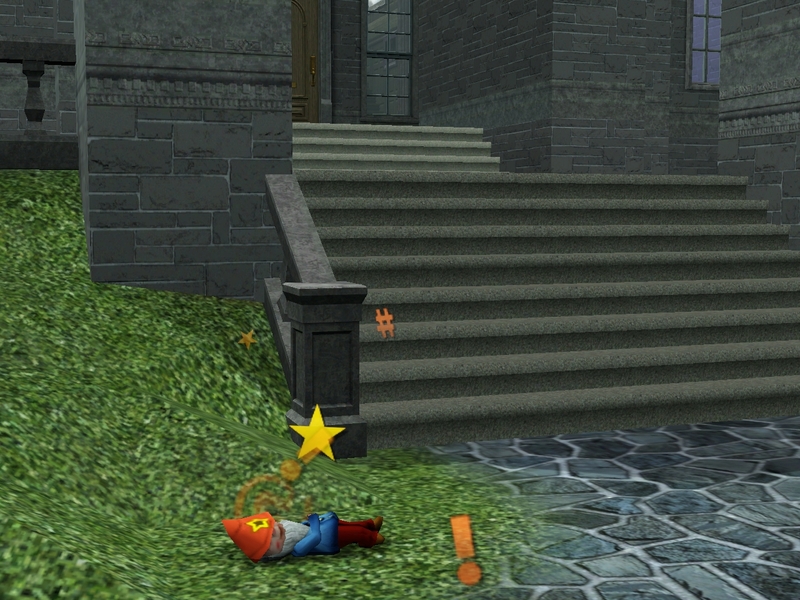 He called us out to deal with his swearing gnomes. Way to waste my time. He sure knows how to live. 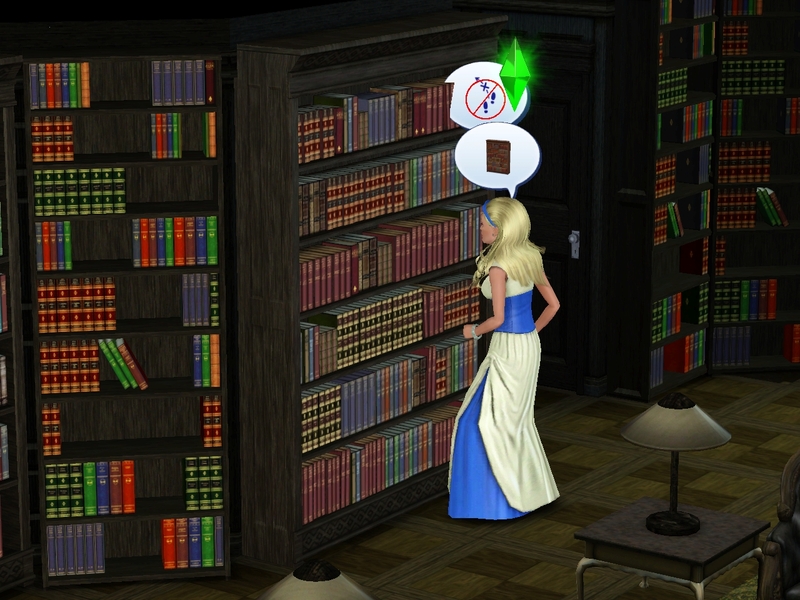 And all these bookcases! Who would ever want to read this much? They just kept getting in my way. But even though the house was a maze, I eventually sneaked up on the little bastards. At least van Gould pays well. 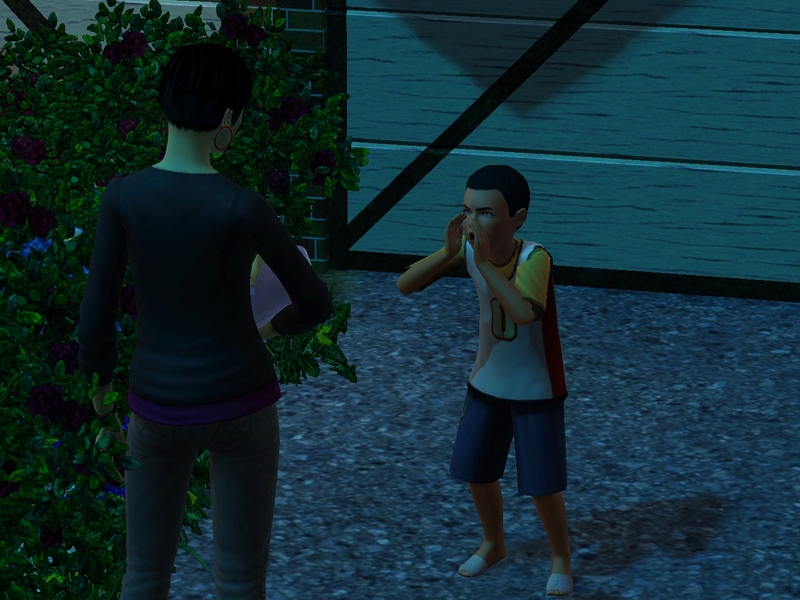 Branden came home from school pretty nervous and worked up. Something really big was going on at school. 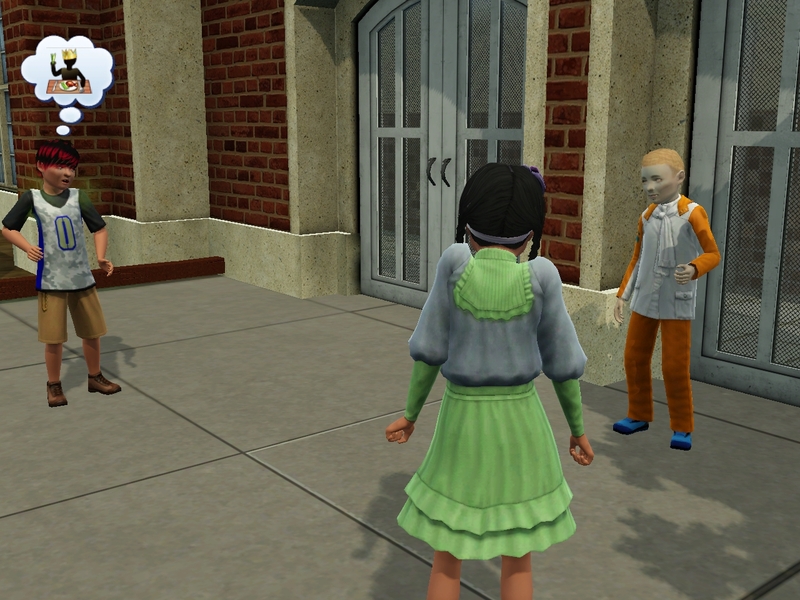 Christof and Caitlyn hung out after school to be with their friends. They both came home talking about this cool guy they were playing with called Larry Pierce who had glowing eyes and sharp teeth. That must be William’s son! I guess he finally married his girlfriend, Beatrice Saunders. 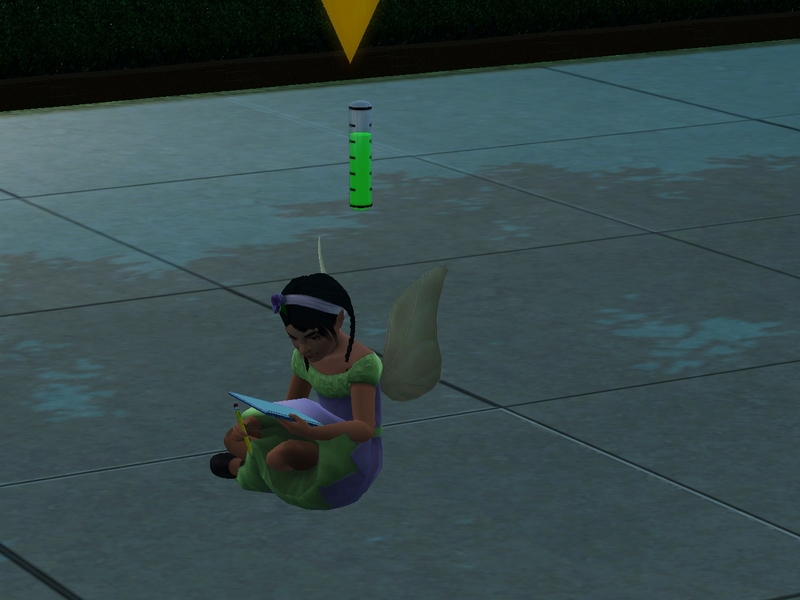 Christof got home and went to bed early, but thoughtful Caitlyn hung around the school and did her homework. I got to take the quiet time to spend a little time with my baby while she was still my little baby. Jin was gone for almost 24 hours. 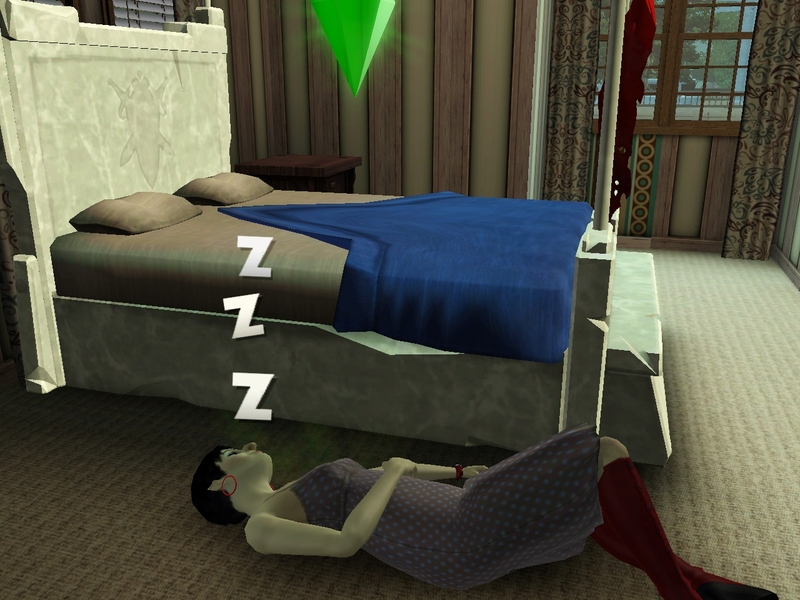 She must have had a really good time. 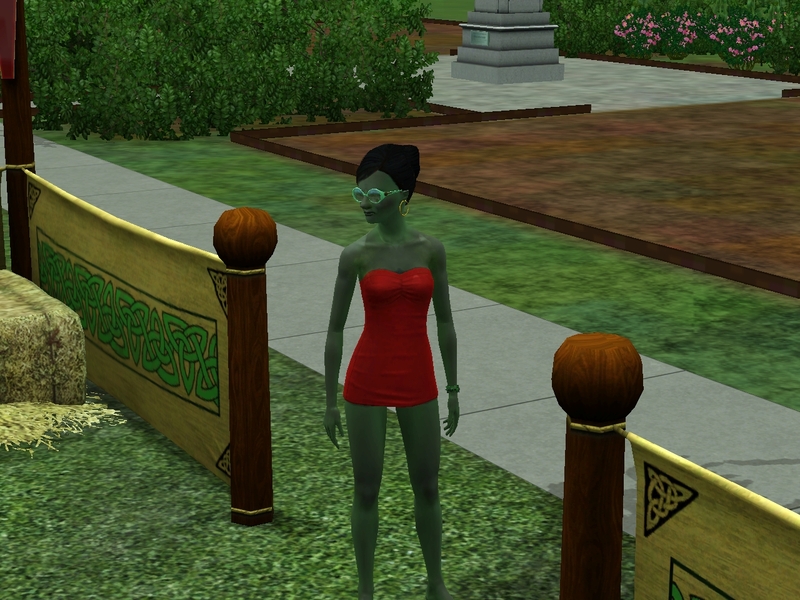 She came home with a terrible sunburn. It must have been painful, but I have to admit that the color kind of looked good on her. Then I came home home after a long day at work, and it was time! 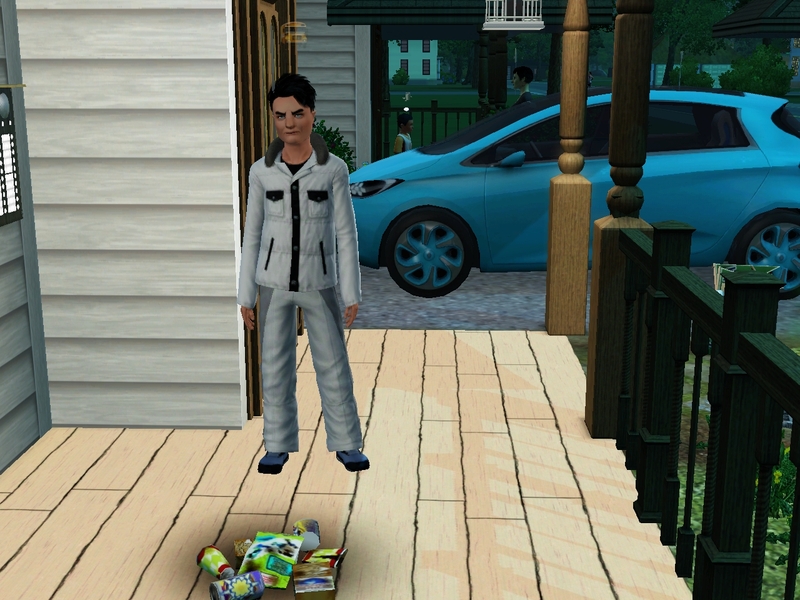 Branden was just taking the trash out, and when he saw his mom, he freaked out and dumped it on the front porch. Hetal’s such a pro at this that she didn’t even bother with the hospital. 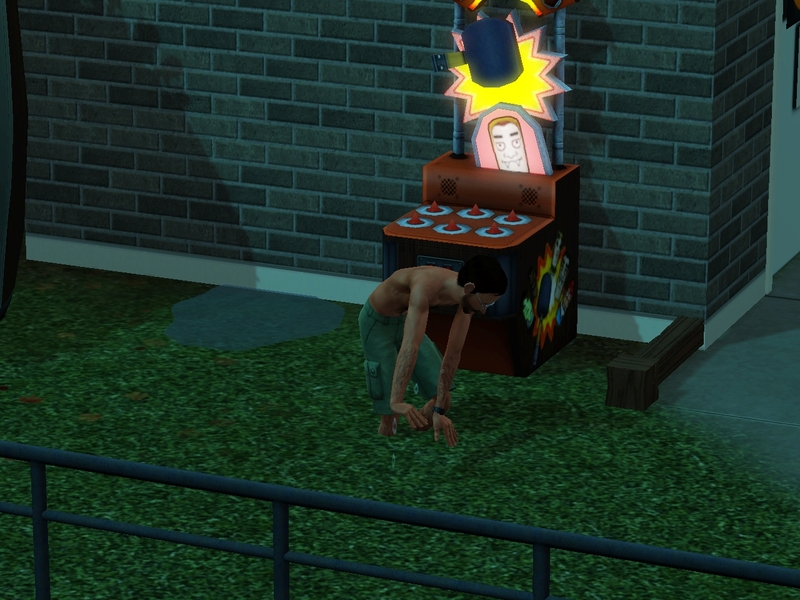 She had her baby in the driveway while the weird kid who runs through our garage watched in horror. And that’s how Erin, our VERY LAST CHILD, was brought into the world. 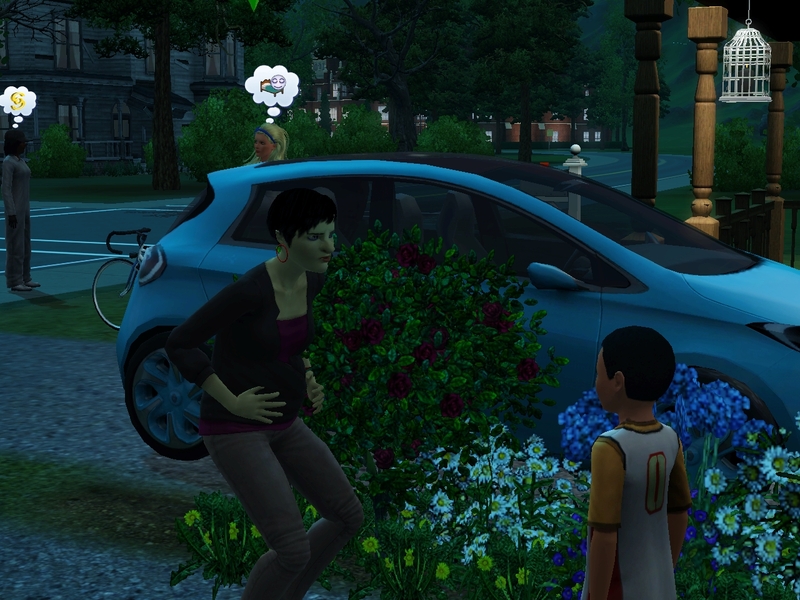 The weird kid thought that having babies in the driveway was pretty awful. What does he know about the miracle of life? I told him what’s what. How dare he talk to my wife that way! Yes, Jin peed herself STANDING BY THE BATHROOM! Go Jin. Babies: 4 + 1 = 5! Another long one, but there was just so much awesomeness to get through before the baby was born. I had a real glitch-fest in here someplace and had to replay one of the days about three times, so the fail count is approximate. 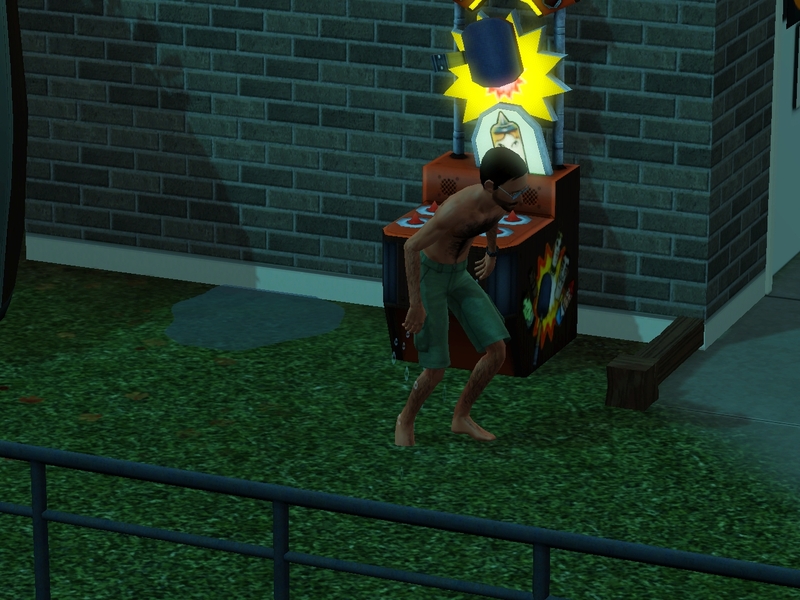 It was a bit hard to track which of the fails in my screenshots were from the day I kept. 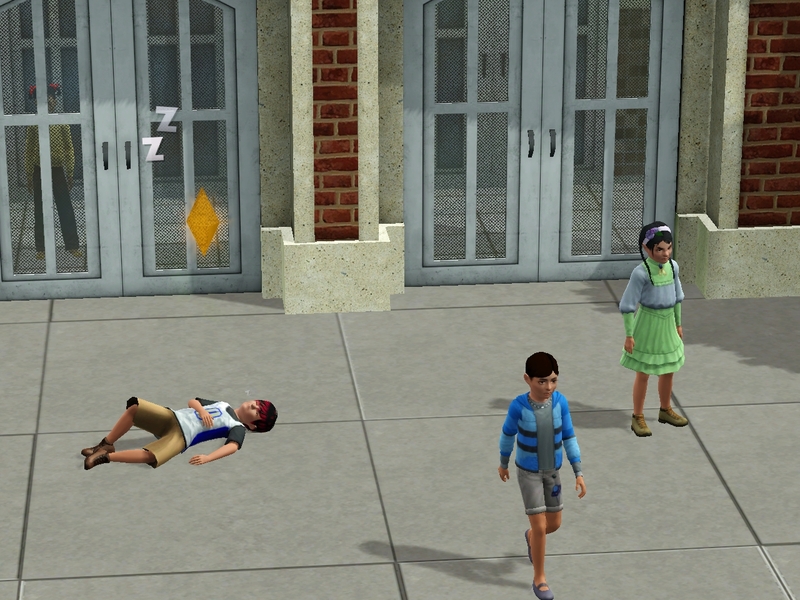 During one of them, I couldn’t get either Christof OR Caitlyn to go to bed, so they were dropping all over the place. If that day had been the keeper, I’d have about 5 more passing out to count. Yes, that was Jin and Chauncey woohooing in an invisible hot tub. 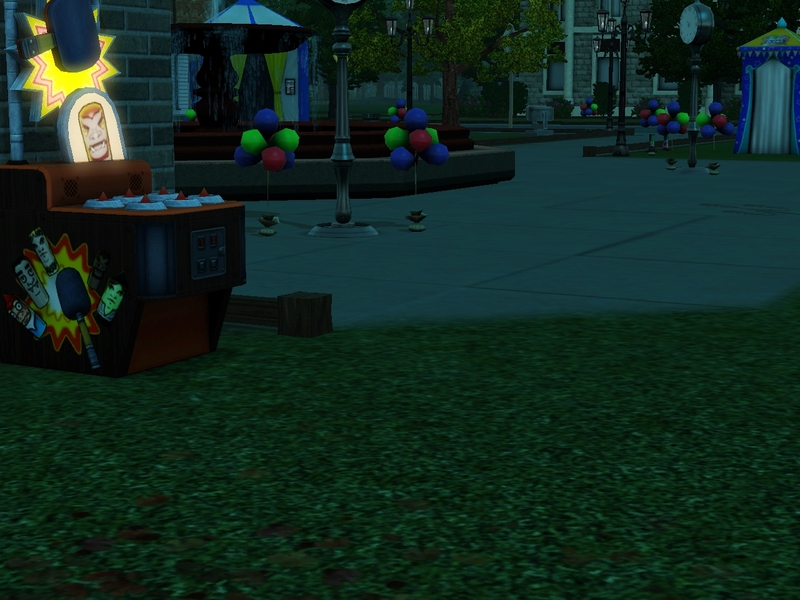 Somebody PLEASE tell me that Eerie Festival Grounds has a hot tub in that spot during one of the seasons. I have to own up to another minor cheat. 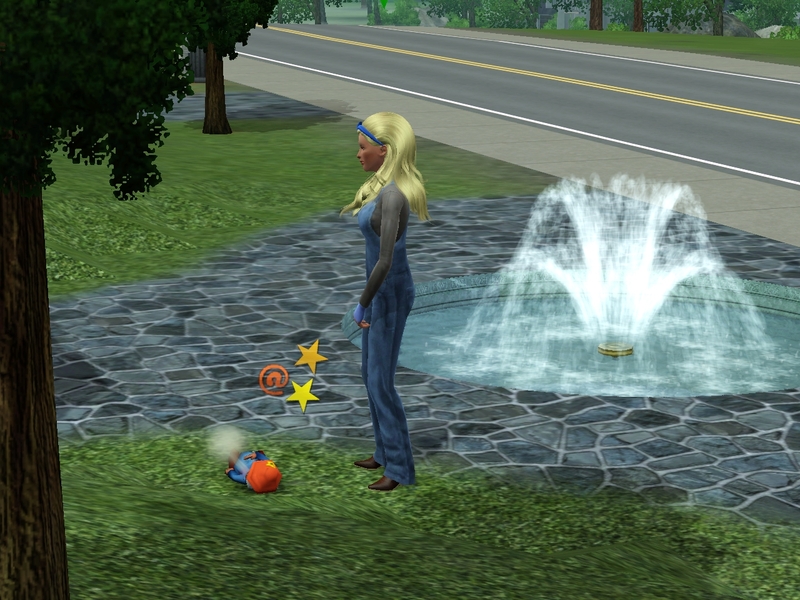 I forced the baby’s gender with MasterController. I have no attachment to the gender preference of any of the Wonderlands, but since the heir is essentially betrothed at birth, I AM rather attached to Spike being straight. So I figured that if I was going to be stuck with another baby, I could at least swing the odds in favor of a female heir. It wouldn’t even be cheating if it had been Allison, since I could have her eat watermelons, but ah well. Also, I couldn’t resist the name, considering her origins. 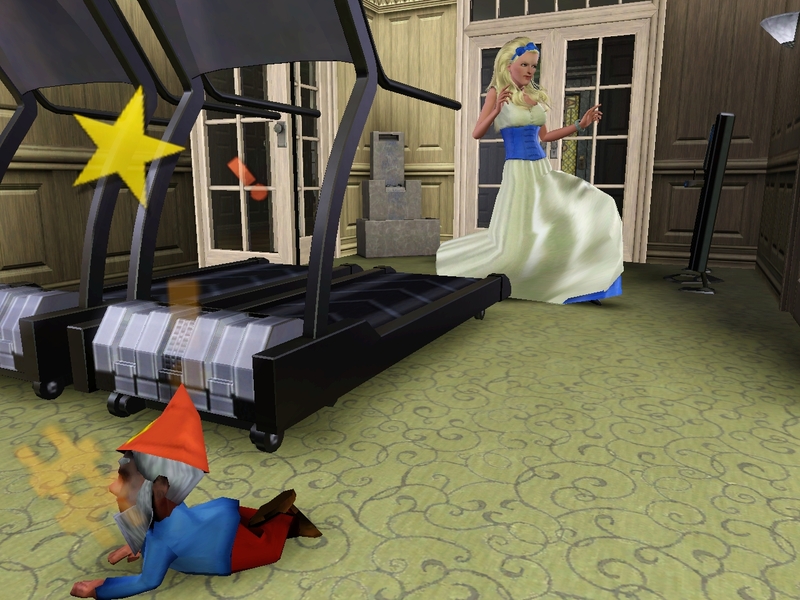 Err in Wonderland, amiright? 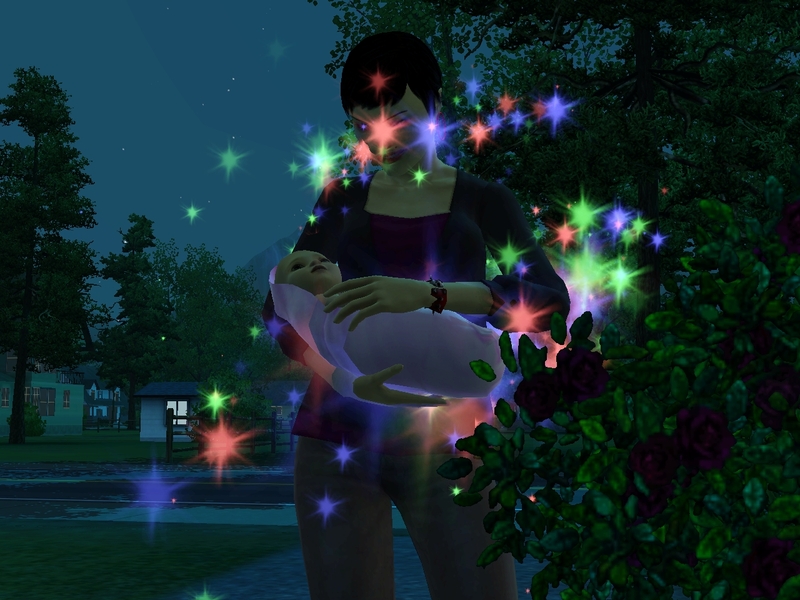 I’m never going to replace a baby outright again, though. I can’t handle the guilt. That does mean that the child was born with Hetal’s skintone with no influence by me! One out of five! Woot! I have used StoryProgression to turn off pregnancy for both Hetal and Allison, just in case Woohooer gets “confused” again. 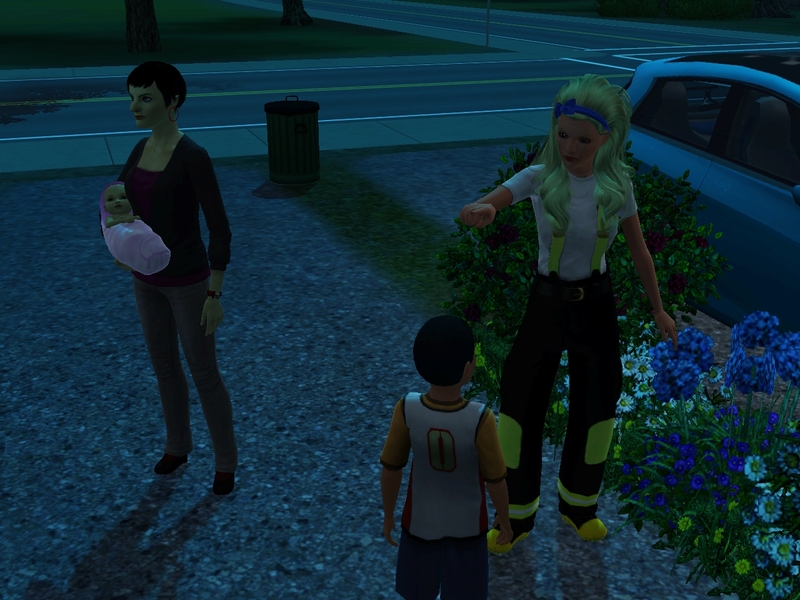 This is the first time I’ve raised five sim kids. I decided that I might as well get an idiot LTW out of this. I'm amazed at how many kids Allison and Hetal ended up with! That's so many idiots! 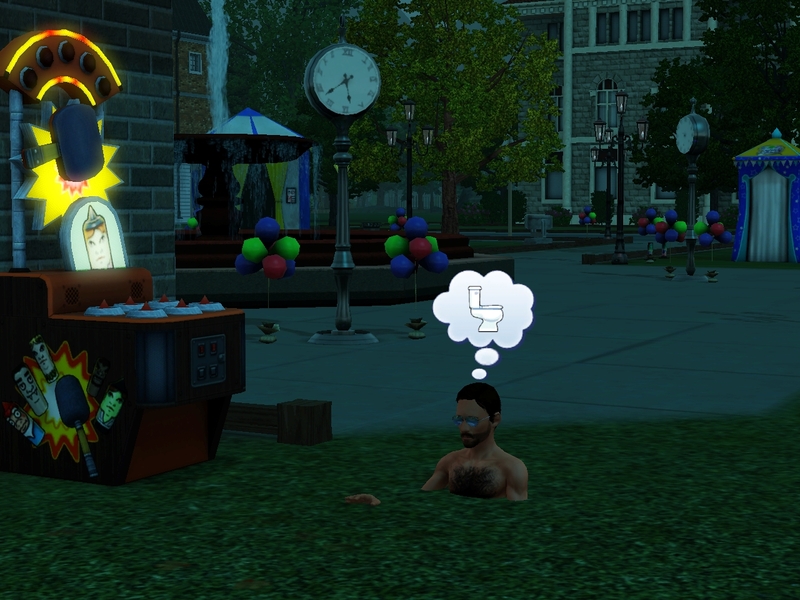 Jin and the invisible hot tub was hilarious. Go, Jin! 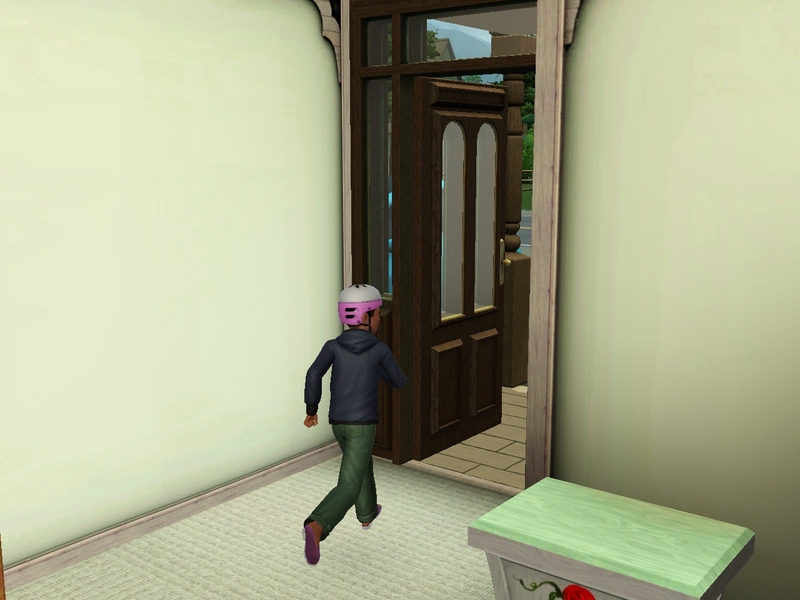 What's with the random people running through the house? Good luck with five toddler/children/teenie idiots, that will be a lot of fun…and bedtime stories. 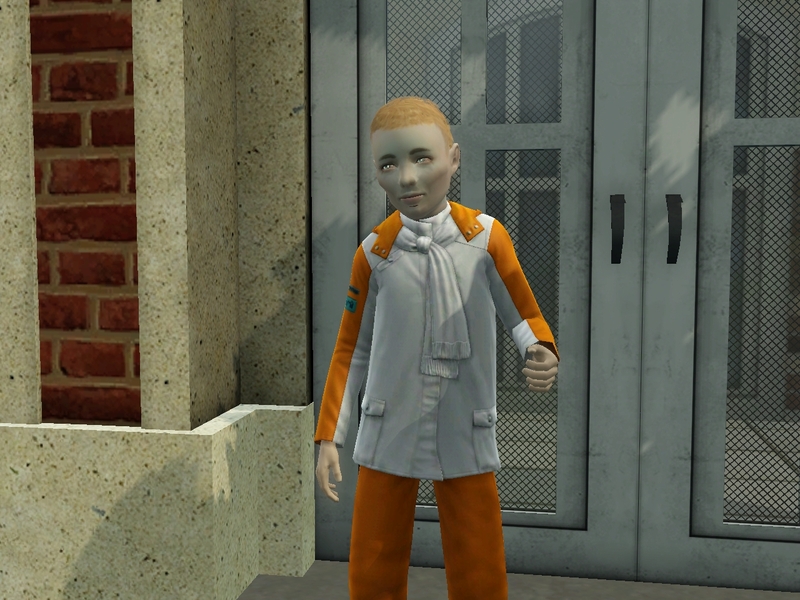 Amhranai, I just meant that I used MasterController to set the baby to be a girl. 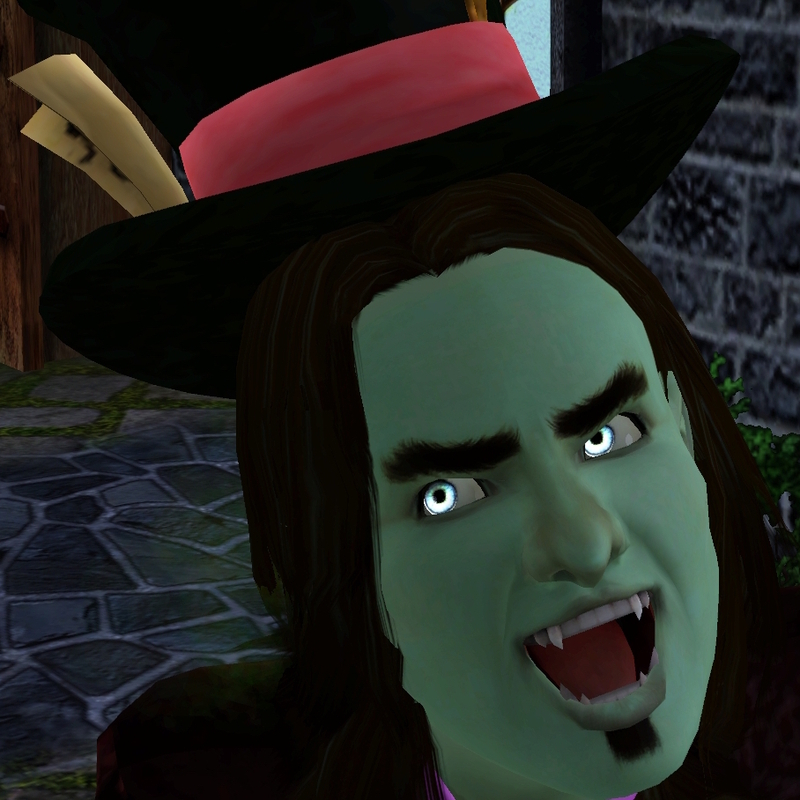 Since William Pierce (Spike) tied in the mate poll, we kind of decided that the Generation 2 heir would have babies with him. Plus it's good to have a beautiful mate to combine with the, um, quirky Anjali features. Since I'm a diehard Spike fan who likes him to be straight, I was interested in having more girl Wonderland babies. I'm thrilled about Erin rolling Hetal's skintone. Now if she'd just be blonde. But I have played several posts ahead, so I already know the answer to that. 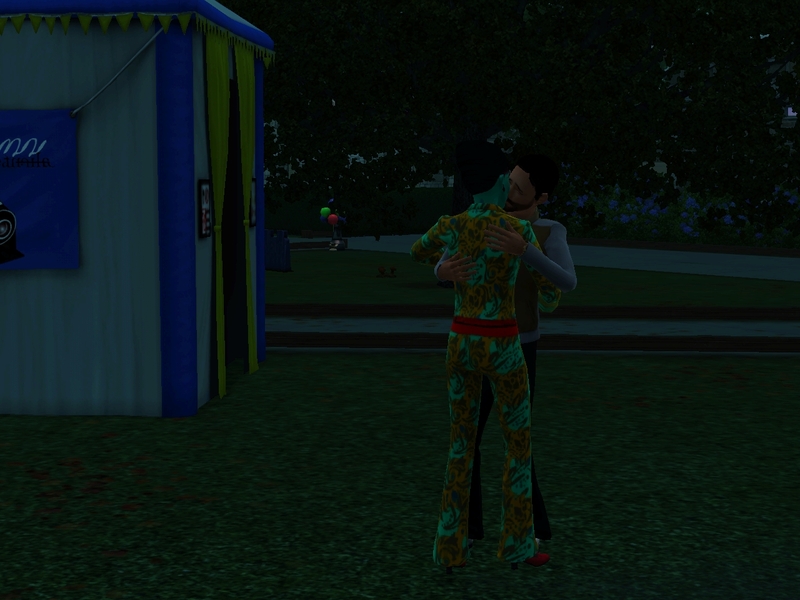 I almost fell out of my chair when Jin went to woohoo in the ground with Chauncey. 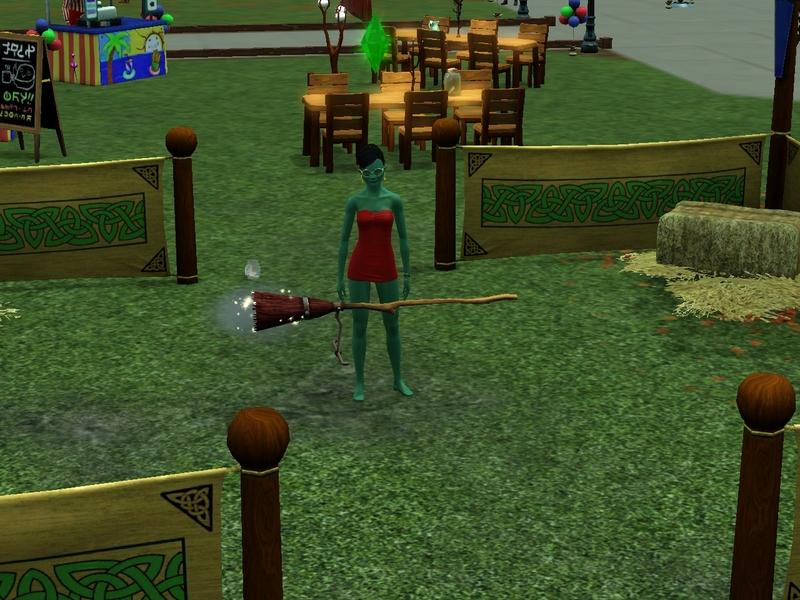 That should get an award for one of the most awesome glitches ever. 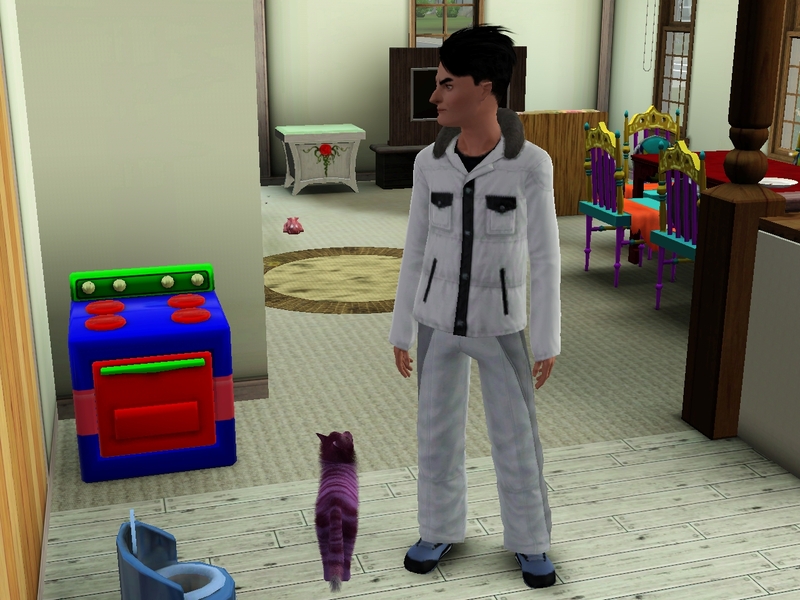 Oh yeah, and it occurred to me that the posts have gotten so long because they are SO MANY sims in this household. Duh. 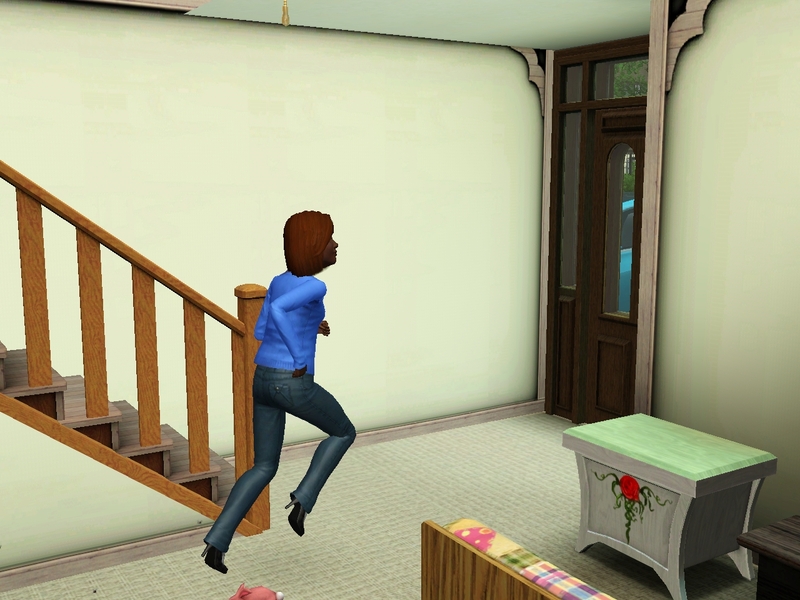 I have NO IDEA what's up with the people running through the house. It has happened from time to time, but during this sequence it was almost nonstop. 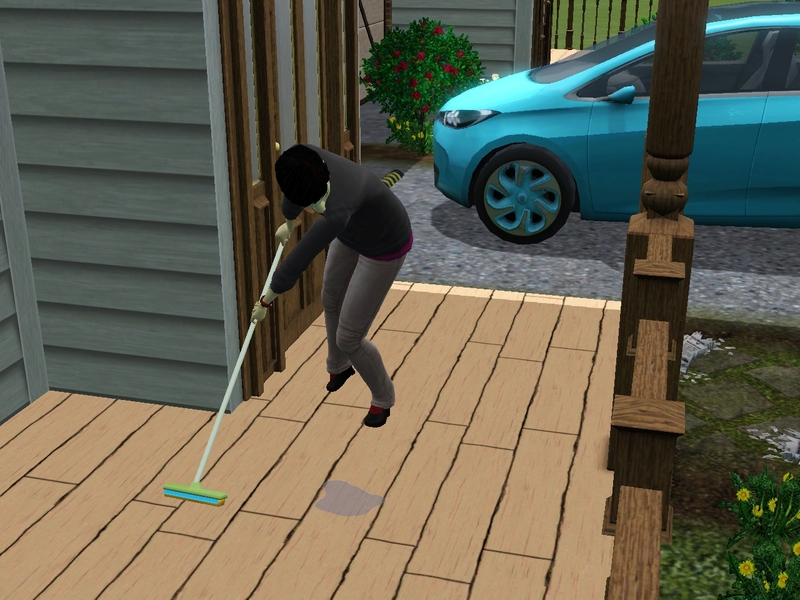 They seem to start in the garage, run through the living room door, then dash out the front door. Often they pop up a notice, "I'm sorry! Something came up and I have to go!" or whatever. Good thing they have to go, because otherwise we'd have to KICK THEM OUT. Now I got it, thanks 😀 And I'm all in for Spike-babies later!! 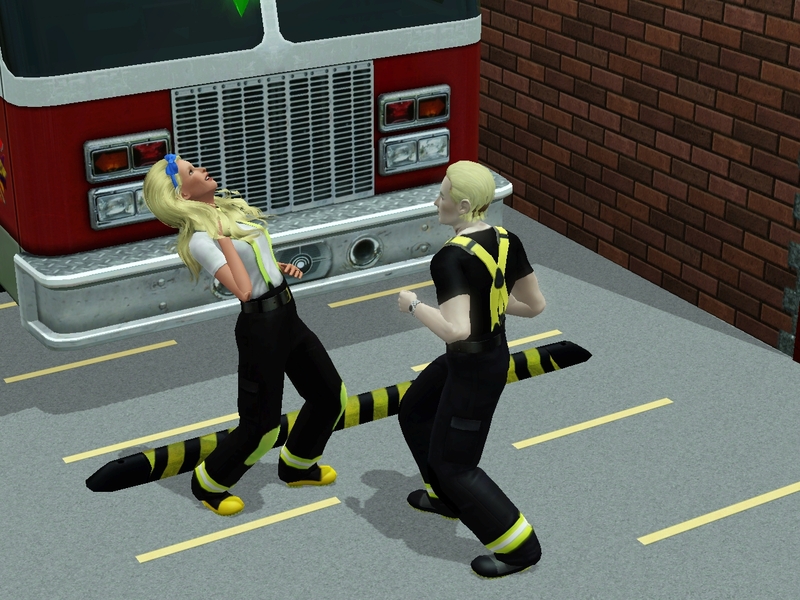 Sims are just weird. That's so crazy! Yay! I love the name Erin and I'm totally on board with you changing her gender. I really can't see Spike being gay so the more heiress options the better. You've nearly caught up with me and the crazy number of Bookabet kids! All I'm going to say is good luck!! Jin is so awesome. 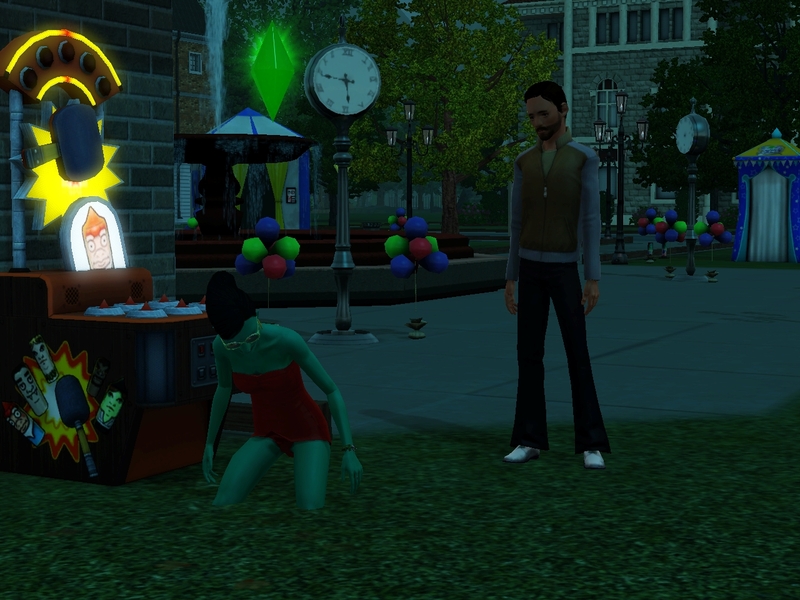 But her choice of a woohoo location sure looks painful! 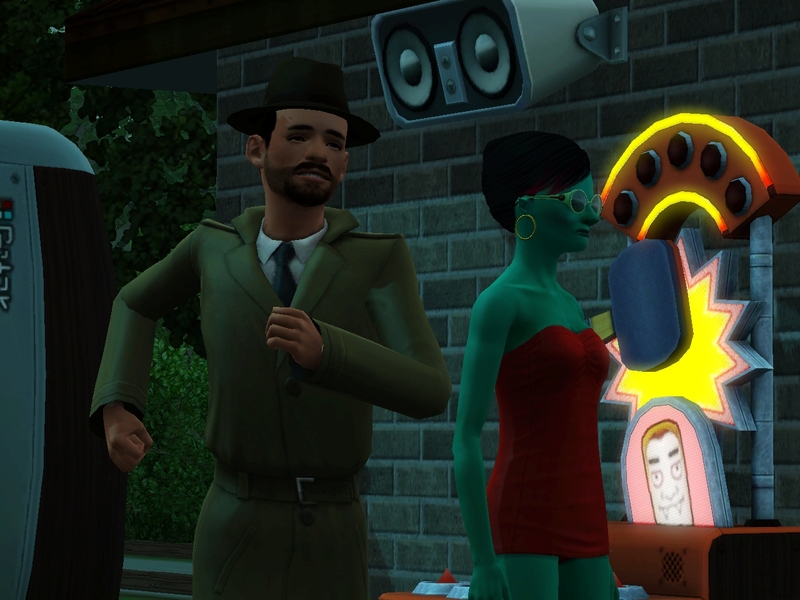 I think your townies are absolutely crazy and considering the Wonderlands are supposed to be the insane family on the block, that's saying something!! 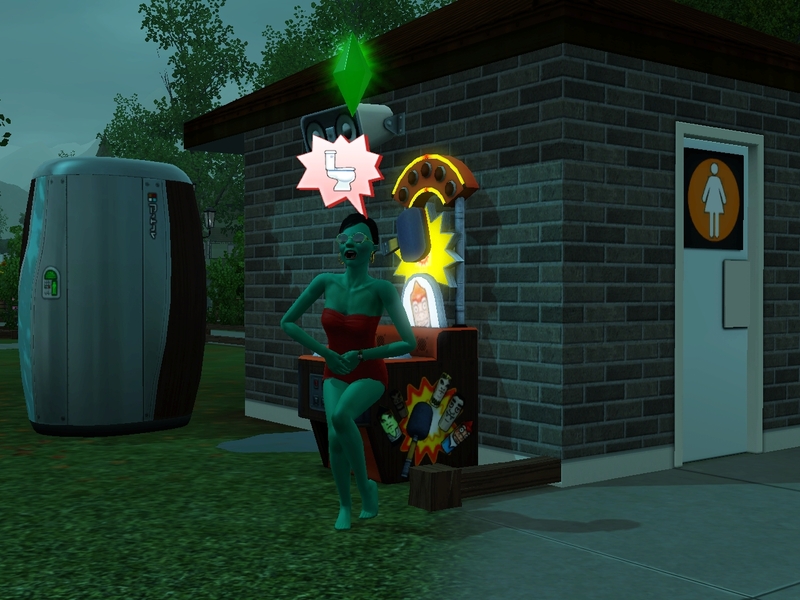 LOL, I have seen that invisible hot tub glitch in another legacy…think it was one of Jenn's, but I'm almost certain it wasn't in MF, so that's strange. Ha! Yeah, I thought about doing Surrounded by Family over and over. But I think I'm going to go with the rule that you only get credit for a LTW one time. So Hetal got it, and I can't use Surrounded by Family again. 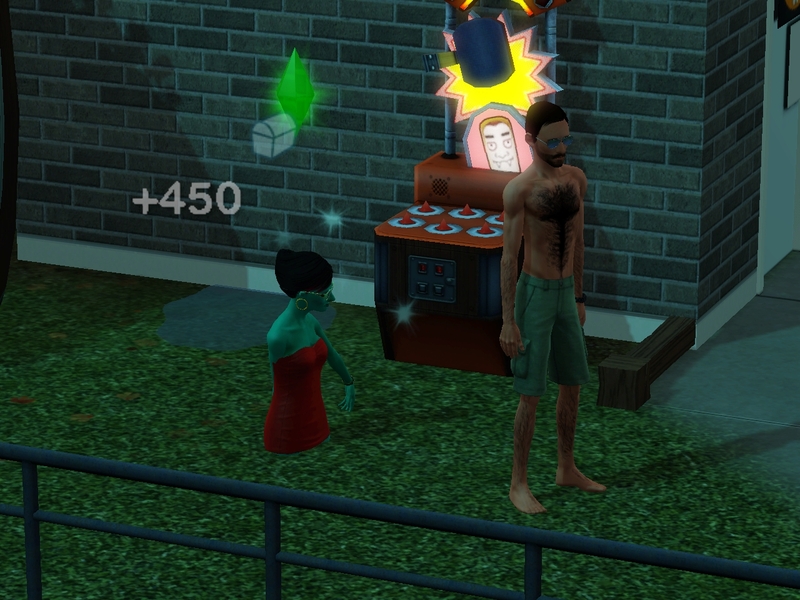 I *think* that invisible hottub might have something to do with them being a festival lot. Maybe there's a hottub there during one of the other seasons? Then again, why would you put a hottub on a festival lot?